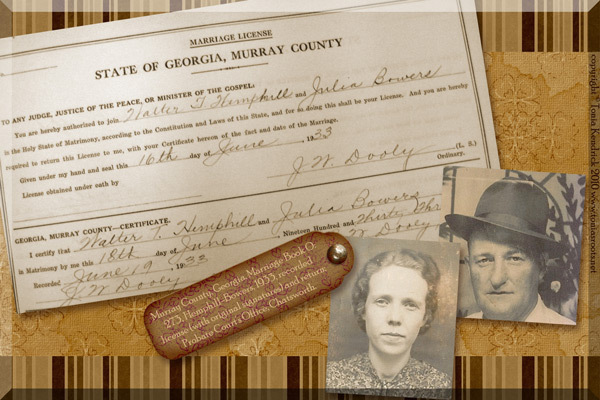 Births Julia (Bowers) Hemphill was born in 1914 in Georgia. Deaths Andrew Russell Ellis died in 1927 in Mineral Bluff, Georgia. Deaths Roxie (Mathis) Ellis died in 1968. Julia (Bowers) Hemphill died in 2003 in Knoxville, Tennessee. Marriages Hans Andreas Dellinger and Margaretha Kolb were married in 1681 in Germany. Updated August 21, 2011.